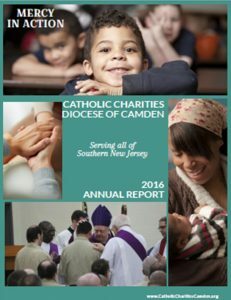 Catholic Charities led the Diocese of Camden in preparations for Pope Francis’ historic visit to Philadelphia in September, 2015. We published media coverage, outreach efforts and other events on this special site during our 40-day campaign of preparation for the visit of the Holy Father. During the Catholic Church’s Year of the Family, from September 2014 to September 2015, Catholic Charities published a series of newsletters full of resources for families. They can be downloaded as pdf’s below. Visit our Year of the Family homepage.